Ramp your pods either up or down depending on need by using Jenkins with Kubernetes. 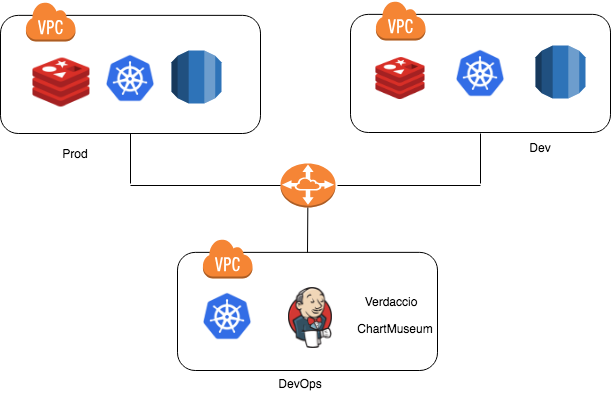 In this article, I will be discussing how to scale Jenkins with Kubernetes, what are the different components required and how to fit those components together to have complete scalable solution. Note: I will be taking an example of AWS and will be using its terminology but concepts can be easily applied to other cloud vendors, too. A basic understanding of Kubernetes would be required like its components and its basic commands. This article will give you a fair idea but won’t go into very deep in steps. I recommend reading official documentation for deeper understanding. Jenkins has been a popular choice for CI/CD and it has become a great tool in automating the deployments across different environments. With modern microservices based architecture, different teams with frequent commit cycle need to test the code in different environments before raising pull requests. So we need Jenkins to work as fast as possible. For setting up Jenkins access from outside the cluster if we define service type as loadbalancer in Jenkins service file, it will spin up an ELB instance in the cloud and you can access Jenkins with the IP of ELB. The problem with this approach is, if you want to have some other service exposed from the cluster, and follow same approach, you will end up in another ELB instance and that increases cost. To avoid this, Kubernetes supports a feature called ingress. Now, we need to define some rules so ingress controller can decide which service to call. Before defining rules, we need to create sub-domain mapped to an ELB endpoint, let's say we mapped jenkins.yourcompany.com to ELB endpoint. Now, let's write up ingress and use this domain as hostname. With this ingress in place, whenever a request comes to jenkins.yourcompany.com, it will go to ELB first, ELB will send this to the NGINX controller, which read the ingress and sends the traffic to jenkins-master-svc service. You can define more ingress and map them with your services, so we can use a single ELB to manage the traffic to all services hosted in Kubernetes cluster. You should be able to access the Jenkins by your sub-domain. Initially, you need to set this up as you normally do and configure Kubernetes plugin. This link has all the information on how to setup this plugin in Jenkins. Since Jenkins has been installed inside the Kubernetes cluster, we will be able to access Kubernetes. If you install Jenkins outside Kubernetes cluster then proper endpoint has to be defined. Below is the configuration, only three things need to be added up, Kubernetes URL, Jenkins URL and credentials for Kubernetes. We don’t need to set up a pod template as we will create them dynamically in the next step. While both approaches do solve the scaling issue, cost will also increase with these approaches. This is where we can use Kubernetes by doing on-demand horizontal scaling of Jenkins. In Kubernetes, we setup Jenkins in master-slave mode, where each job can be assigned to run in a specific agent. An agent in our case would be a pod running on the slave node. So when the job needs to run it start creating their pod and execute the job in it and once done the pod gets terminated. This solves the problem of on-demand scaling, below will show example on how to set this up. Declarative syntax is an improved version that should be preferred in defining pipeline. In plugin setup, we only need to add Kubernetes and Jenkins endpoints and the rest we configure in the pipeline itself on what type of pod we want to run in which job will execute. In most of cases, you would want you own slave image rather than public one so assuming you have hosted that image in the registry, below is what can be used. 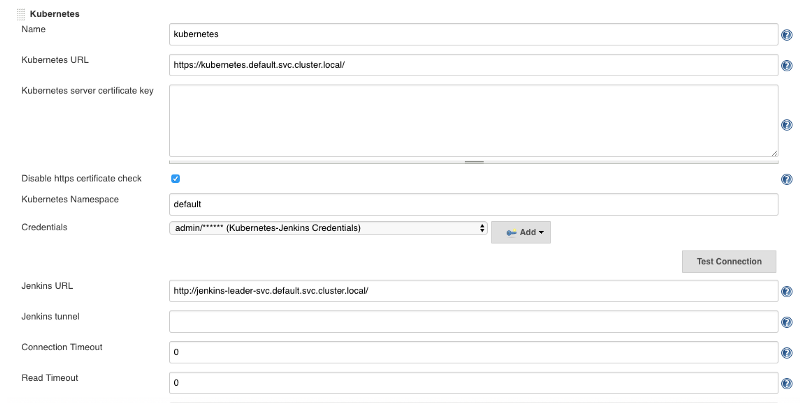 So, this is it, we have scalable Jenkins cluster in place with each trigger of Jenkins job, the pod gets created in a Kubernetes cluster and gets destroyed when it is done. Scaling of the cluster is handled by autoscaler and ingress is used to expose Jenkins outside of the cluster. One part we haven’t covered is the usage of Helm and package manager for Kubernetes. Once we get comfortable in these concepts, we should be deploying in Kubernetes as Helm charts only, more on this later. Published at DZone with permission of Gaurav Vashishth . See the original article here.